Setting. It provides the backdrop for the plot and development of characters. It also consists of numerous things. First off, the location. That’s an obvious one. The culture. Culture stems from location. And the historic period. In my original rendition of Exiled Heart, I utilized both Jeddah, Saudi Arabia, and Charleston, South Carolina, as my settings. Never did it cross my mind to change them for this update. It just wouldn’t have made sense since Ziad is Saudi, moreover, a Hejazi, and Jeddah is the main city in that province. And Claire? Her home will always be Charleston. Due to their locations, the cultures in the new Exiled Heart don’t change either. I’ll talk more about the cultures in my next post. Finally, I gave some serious thought to whether or not I needed to update the time period for the book. I decided not to do that. Of course, that introduces what I call the unintentional error of time warp. Even in the ten years since the novel begins (2009) and today, things have changed dramatically. How so? First, technology has dramatically changed. In 2009, smartphones were just beginning to come onto the scene, and most people still had landlines. Facebook was brand new. Cars were still being manufactured with CD players, and digital music services were just beginning. Nowadays? My, how things have changed. Most everyone has a smartphone and not a landline. Facebook finds itself in trouble due to data privacy issues. CD players? What are those? Digital music rules the day, and Best Buy has even stopped selling CDs. One of the biggest changes that has happened is the cultural / political climate. While some things have gotten better, tensions have worsened in other areas that back in 2009 and 2010 existed as uneasy undercurrents. Exiled Heart knocks on the door of some of those tensions. Some of the themes relate to prejudices that need to be dispelled. Did I debate on moving it into the present-day? No, I wanted to keep the entire setting true to the original book. I realized this carried some risk, as it brings out issues that are hot buttons today, especially relating to the Islamophobic tensions that have come out over the past several years. Many times, the reason for these tensions are rooted in general misconceptions created in popular media or through propaganda, especially through social media. But sometimes, such thinking may generate from a personal experience, such as the one Claire experienced before the novel starts, yet then grows unchecked amid wrong assumptions. Regardless of its genesis, such thinking needs to be realized, understood, and dispelled. We are all God’s image-bearers, no matter who we are. My hope is that Exiled Heart will cause people to really dig deep into their beliefs and think about why they believe what they do. 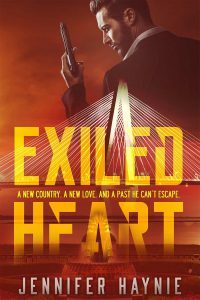 Posted in Exiled Heart, On-the-Edge-Suspense, Suspense, Writing. 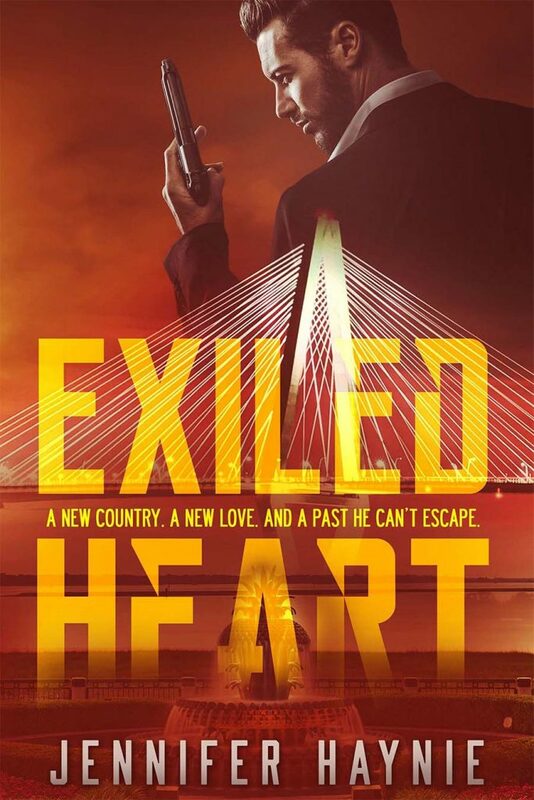 Tags: Exiled Heart, Jennifer Haynie, Keeping It Real: Exiled Heart's Setting in Time, Setting on March 17, 2019 by Jennifer Haynie.